At any rate, scrolling through the on-screen TV guide, we looked for a movie that was about to start. Another technical advancement: the “Guide” on the remote. No need for newspaper TV listings. Remember newspapers? Gee, they were swell. And then we saw it: Field of Dreams. Neither of us had seen the movie since it came out in 1989. Having loved this movie 20 years ago, I was interested to see how it would hold up. I remember seeing Shenandoah starring Jimmy Stewart on a Saturday afternoon re-run when I was a kid. I balled like a baby at the end. When I insisted on watching it again with Lindsay because I wanted him to see this great film, I was surprised how cheesy it was and, I hate to say it, not very good. When I was 10 years old, I guess I liked cheese. 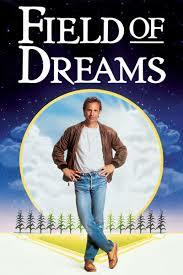 Field of Dreams holds up very well (screenplay/direction by Phil Alden Robinson). The clothing and hair-styles are classic 80s, but Kevin Costner is impossibly young and Burt Lancaster gives one of his last performances. Lancaster is terrific, with his old-school speech that fits so perfectly for the doctor from the past. But twenty years later, the message of the film was so different. The first time I saw this movie unfold, it seemed to be saying, “listen to your gut, follow your dreams, all will be well.” Kevin Costner’s character plows over his cornfield because he hears a voice telling him to build a baseball field. He listens to the voice. And it all turns out ok. Yes, I still believe that can happen. You work hard, you listen to God/Holy Spirit/your gut and you succeed. But after twenty plus years in this business, disappointments can take their toll. Everyone has their share of disappointments. So the “baseball/apple pie/Iowa is heaven” tone of the film, while sweet, seems too much like fiction to my older self. 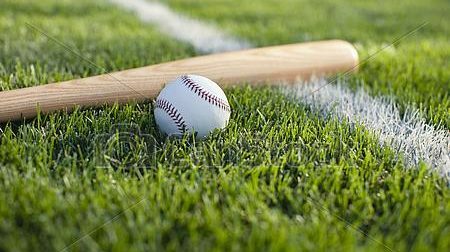 Ultimately, Moonlight Graham is given a chance to play baseball again. Unfortunately, Kevin Costner’s little girl falls off the top of the bleachers and stops breathing. Kevin looks to Moonlight Graham to heal her. The old doctor saves the girl. But that means he gives up his second chance at baseball. It’s not a story about dreams coming true. Maybe the message is our dreams don’t always come true. Sometimes, you don’t get the part. You don’t always get the girl or boy. Sometimes, people die before they should. And we don’t really understand why. Life doesn’t always add up to “hard work” ruling the day. Like doggies, and good books, and a nice glass of wine. And for me, a wonderful part to play, even if it’s just in my living room. And of course, people in our lives who we love and who love us. I guess I’m still learning that lesson. Sometimes, things don’t work out the way you want. Originally published September 13, 2013 (Edited October 16, 2017). Love this! Makes me want to watch Field of Dreams again! And that quote about there’ll be other days is more touching nearly 30 years later. So true, Sue. It resonates more the older I get. I love this, Nan. So very true — except I would say all prayers are answered … just not necessarily in the way we think we want, but in a way that teaches and gives us grace!! I agree completely, Denise. Well said! I’m so glad I found your blog — this choked me up. Looking forward to more! Thank you, Laurie! I’m so glad you did, too!